Representatives for Spielberg and the Academy did not immediately respond to TheWrap’s requests for further comment. The exact rules that Spielberg is planning to propose have not been disclosed, but one idea Academy insiders tell TheWrap may be on the table is to restrict eligibility to films that were exclusively in theaters for four to six weeks before being released on streaming. That would prevent a film like “Roma,” which was on just over 100 screens for less than a month before hitting Netflix, from getting nominated. But getting support from the Academy for such a change would be difficult, as this would affect non-streaming indie studios as well, not to mention that the Academy already granted eligibility to films that open in theaters and streaming simultaneously back in 2012. One Academy board member told TheWrap this weekend that they will oppose Spielberg’s proposals if they come forward. Outside the board, Ava DuVernay, a member of the Academy’s directors branch who has released films on Netflix, has also said she opposes such changes. But Spielberg has insisted that such changes are necessary to protect the value of seeing a movie in theaters, something that he vowed to protect during a speech at the Cinema Audio Society Awards last month. And some writers and filmmakers are publicly backing the director in his stand against streaming. But not everyone feels like movie theaters provide that “big event” feel anymore. Repertory theaters like Hollywood’s Egyptian Theatre and the Quentin Tarantino-owned New Beverly Cinema go the extra mile to make going to the movies feel special. National chains like AMC and Cinemark have also made efforts in recent years to woo back moviegoers with upgraded food, alcohol availability and recliner seats. But despite these efforts, movie theaters still have a stigma of inconvenience and poor quality that is proving difficult to shake. But there’s also a debate over just how much the communal and large-format nature of the movie theater adds to movies as an art form. Spielberg sees it as absolutely essential, to the point that he has openly said he doesn’t think Netflix films should be eligible for Oscars at all. Films like “Roma,” which were not produced by Netflix and premiered at the prestigious Venice Film Festival, are blurring the line, especially as streamers take a bigger presence as buyers at Sundance and other festivals. On top of that, there’s another awards campaign practice that leads to many Academy members seeing Oscar contenders out of the theater: screeners. The trend is actually going in the other direction. In an effort to encourage wider viewing of all nominees among voters and to consolidate the screening process, the Academy has encouraged its members in recent years to watch screeners through its member website. While studios and trade news outlets (like this one) still host FYC screenings during awards season, even the Academy is recognizing that streaming makes it easier for all the nominees to get in front of their entire membership. 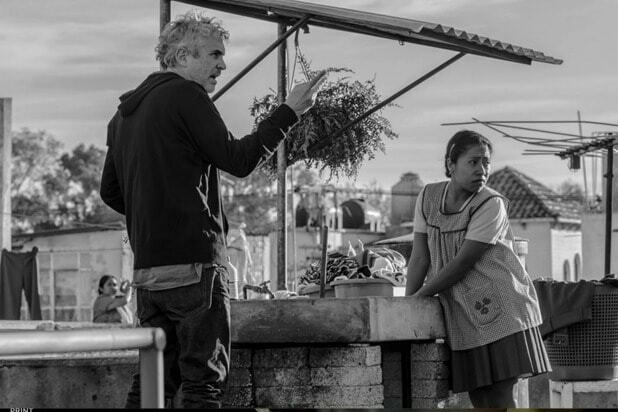 “Roma” may have failed to become the first film released by a streamer to win Best Picture, but with three Oscars from 10 nominations, it has definitely forced the issue. Along with the battle to come at the Board of Governors meeting, April will also see movie theater owners convene at CinemaCon in Las Vegas, where the National Association of Theater Owners will certainly be faced with questions on how it will deal with Netflix’s steadfast refusal to disclose its box office numbers. And Netflix won’t be stopping with its plans to deal out big films, as it will release Martin Scorsese’s “The Irishman” next fall. With an all-star cast led by Robert De Niro and a blockbuster budget to de-age the stars in flashback scenes, Netflix will almost assuredly be back in the Oscar conversation next year…provided that Spielberg’s crusade isn’t successful. Hollywood Worries: Will HBO Still Be the Home of Prestige TV After Richard Plepler’s Departure?